Warrior Forum - The #1 Digital Marketing Forum & Marketplace - <Earn $3000/Month Without Doing ANY Work> Crypto Trading-Investment PLANS. 30%-40% ROI.Testimonials! <Earn $3000/Month Without Doing ANY Work> Crypto Trading-Investment PLANS. 30%-40% ROI.Testimonials! I am receiving ton's of messages from people who are interested in JOIN, but they are simply unable because of too high minimum investment (1 Bitcoin). I have improved my business and now I am able to accept more people who are interested to JOIN, so I decided to accept people who have at least 0.1BTC to invest, this way more people could use this opportunity. But there is one condition. People who investing less than 1 BTC are allowed to withdraw profits once per month. If you have any questions, just contact me. So again, anyone who has at least 0.1 BTC can JOIN and you will get 30%-40% monthly ROI. This sales letter won't be long with flashy graphic's. I will be straight to the point and will tell exactly what you are getting here, what I need from you and how this offer can change YOUR LIFE. So first of all I want to tell that I am a FULL-TIME crypto trader, I have been trading since 2016 and have gained ton's of experience. 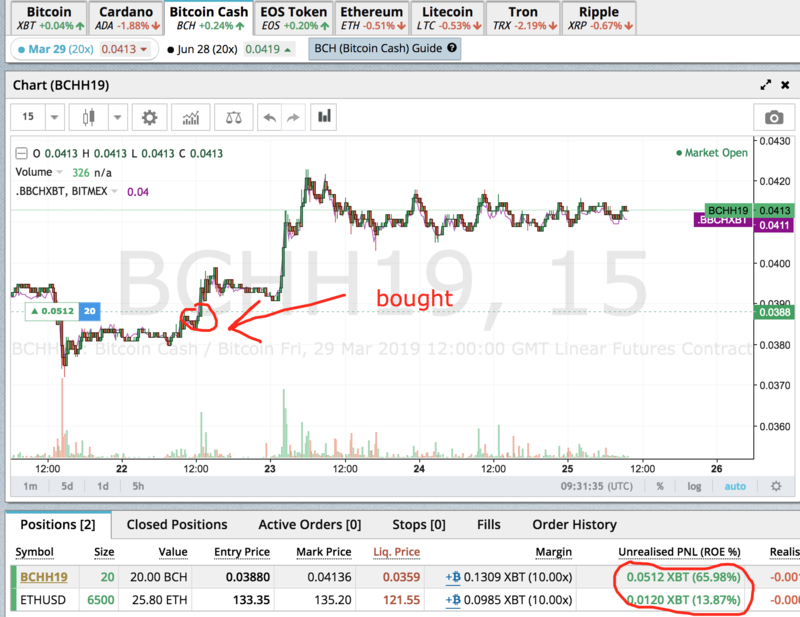 With other professional trader's from various underground groups (I am a member of many such group's and spending more than $2,000/Month), we developed trading technique, which allows us to make from 30% to 40% monhly ROI (Return Of Investment). Actually it's not like some secret technique, it's just years of experience in technical analysis in bitmex margin trades. Some guys from my team have more than 10 years of experience in trading and you can be a part of our skill's and make passive income month after month. So right now I want to offer this service for people who want 100% hands FREE solution and get passive income. You make a deposit of bitcoin,we start trading with your fund's and make you at least 30% monthly ROI. Simple, right? Each day I update a spreadsheet where you could see how your investment progress. Also you would be added to DISCORD group where i post all updates, news and so on. With 1 invested bitcoin you would receive about 0.3-0.4 BTC. In 2-3 month's you would make your investments back. I am looking to work with only serious people who have at least 1 BTC to trade with. I know and understand that trust issue is very important here, but if it help's, I have another WSO, where you can find many possitive reviews, so you can check them out. REVIEWS FROM MY OTHER WSO! I was looking to put my money into something which won't require too much work from my side and this looks very promising, so I joined without any doubt. It's been about a week since I invested and so far I have made 0.15 bitcoin, feeling super excited! Hope everything will go according to plan, thanks you naviown for such amazing opportunity! I am working very hard for each customer to provide best service! 2 people already JOINED, so 8 seats are left right now. Hurry up guys, before it's too late. Still accepting people. Join before it's too late. Crypto market will start recovering very soon so it's the time to begin growing your bitcoin amount. I bought WSO by Naviown last time. It is so good that I buy this one as soon as I see it. And WOW! Naviown has never let me down. Basically, this WSO is about trading crypto service, where Naviown trade with your coins and make you profits. As you may know, crypto traders require a lot of skills and hard work. Although I am confident that I can know ins and outs of crypto trading by the previous WSO. But I am not the type of person who is willing to do trading. I wish that someone would do it for me so that I can focus on other projects such as affiliate marketing. And BOOM! This is it! This is the WSO I have been looking for. Thank you again, Naviown! Highly recommended! I invested 1 BTC in Naviown service 2 weeks ago but the trading start last week. This morning I just received the payment of 0.06BTC (~$228) which is the profit for the first week. This is the first time I invested in WSO, so far everything is going well. We communicated over Discord and he is very responsive when I ask any question. However, one week result cannot tell much if a service is good and bad. I still wait for his trading spreadsheet that he promise to send me, so i cannot say much about his trading style. I will observe if i got consistent payouts and stable profits, then I can update more. So far, I feel comfortable with my investment and hope his trading will go well. Currently joined 4 from 10 available. Few other people are also interested to join, so guys, don't miss this opportunity as soon this offer will be closed. In the beginning, I was skeptical and unsure if I should invest cos it looked like a ponzi scheme and hesitated.But after talking with Naviown I realized that he knows a lot about trading.I was amazed by his knowledge of cryptos., I took the leap and thought of giving a try and joined. So far so good, received almost half of investment back, which is amazing. OP is responsive and friendly, it's easy to communicate with him. 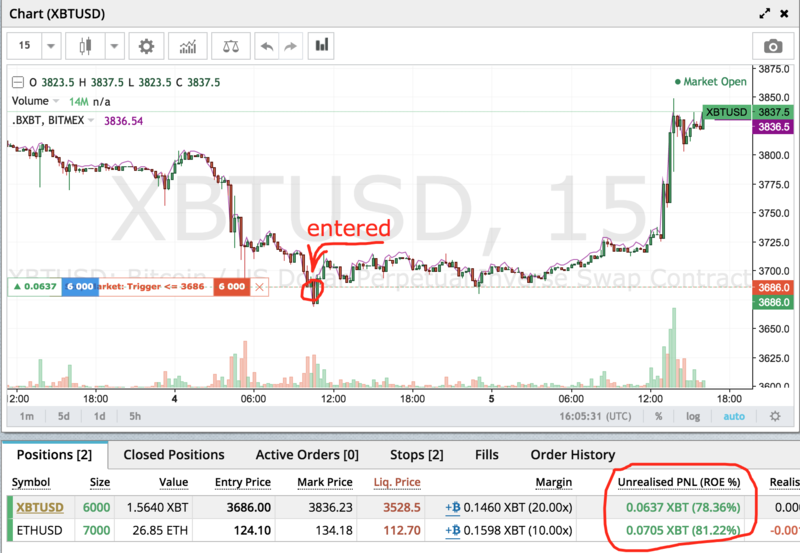 When I first got into bitcoins I thought I would have been able to transfer my knowledge from forex trading but I was severely mistaken. Crypto is it's own beast and requires a different approach than currencies and I was ending up more losing positions than winning ones. I will continue to learn crypto trading and hopefully eventually master it but for now this WSO has been serving me very well. Letting a pro like Naviown do my trades is something I should have done long ago but I'm glad I jumped in now rather than later. Before I came across Naviown's post I was already interviewing a few crypto traders and I wasn't too pleased, at best they were nothing more than commissioned sales agents who would hand off my trades to somebody else I wouldn't have a direct contact with and at worst they wreaked of outright scams. Naviown immediately stood out both in his knowledge of crypt and his desire to establish a long term business relationship with a focus on the 2 most important factors - trust and returns. 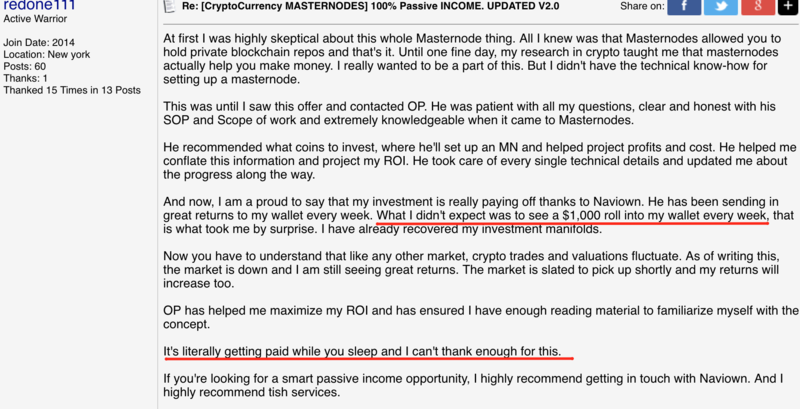 He's answered all my questions, continues to be available for questions about my trading positions and crypto in general, and the payouts have been consistent and reliable. If you're looking to get into crypto or diversify your own existing crypto positions I don't think you'll find a better solution. Thanks, mate, appreciate your kind words! Hurry up guys, as ONLY 4 seats are LEFT and these can gone very fast! It's Good To See That FaceBook is Having Over 2.7 Billion Users, and This will Mass Help in Awareness of CryptoCurrency Globally. It's a perfect time to start trading and growing your bitcoin amount before bull run happens. I am not only offering 30-40% monthly ROI, but in bull market your btc value can increase another 10-100% monthly. ONLY 4 seats left, hurry up guys! I’m very interested but don’t have $4k to drop for one Bitcoin right now. In fact, I’d rather trade for myself and keep all the profits. Do you teach trading too? I’m pretty knowledgeable in crypto, but lack techniques in trading crypto as it’s way different than FOREX. I heard about using the MACD for trading Bitcoin, tried it, and failed miserably lol! Let me know and maybe we can set up some kind of arrangement where I can pay you after making successful trades for teaching me or something like that. Thank you! We already talked over email about it. And for others if you also want to know the answer. I am not doing any arrangement and I am not teaching how to trade anyone. By the way guys, ONLY 3 seats are left! Hurry to JOIN before it's too late! Here is the quick update after a few weeks. I just received the 3rd weekly payout this morning ($193). This is a bit smaller than normal as Mark said the market this week is not very good. Next week profit should be larger as he is having more profitable trades. So far, everything is good. I got consistent payouts up to now. Will keep you guys posted. I could not reply to your message as I do not have enough posts so I put my answer here. I am very skeptical in the beginning about this program but still want to give a shot. So far, I got three payments, waiting for the 4th one this Wed. Mark is doing great so far. Thats all I can say. I will update on the forum if I see any issue. Here is the quick update for this month. So I just got the 4th payment (0.07btc) on WED. In total, my profits is 0.241 BTC which is about 24%. That is a bit lower than 30-40% but it is acceptable as bitcoin prices went up significantly compare to last month, which is not bad. However, as Mark mentioned that he started slow this month but will be accelerating next month, thus more profits will be expecting. He also gave a very details market updates which basically show his analysis and trading plans. After one month, I think he really knows what he is doing and he pays out consistently. I will keep you guys updated next month on profits and other things if arises. I don't want to force the trades which can cause to make mistakes. It's very important to be safe in the first place, use safe risk management and later if the market gives trading opportunities, use them. Does your course teach people about bitcoin if they have never done anything with bitcoin or alternative currency before? As, I know it has gone up in price considerably. It's not a course, it's a service where you getting weekly/monthly profit's from your investments in bitcoin. You invest let's say 1 BTC and you getting 30-40% monthly ROI. (0.3-0.4btc). I would like to invest in this. Still accepting 1-2 people. Bitcoin started recovering so it's a perfect time to invest as you will be getting profits not only from trading but also for bitcoin value going up. I just wanted to post a quick update on how things have been going with my initial investment, since my last post a little over a month ago I have now earned a return of a full 1 BTC! With or without the recent jump in price my return in absolute USD terms would have been positive but what's important to me here is the actual crypto return of a full coin. In the last BTC boom everyone was getting full USD returns but not many were getting full coin returns which makes a huge difference especially if you plan to HODL. From here on out all returns are pure profit, thanks again navi! Would you still do the .1 BTC? Yes. Contact me so we can move forward. Yeah, just few weeks ago, bitcoin price was $4k, now it's $5200 and heading to $6k, so you got even more profits in USD.